Remarkable is hard at work strategizing on how to stop the poisoning of his species. He takes on enviromental consultants, Colorado Parks and Wildlife, Wildlife Services, property owners and ranchers who are hell bent on killing his family members. Currently, he is working on changing legislation that labels himself and his loved ones as pests and insists on being called what he is, a keystone species. Remarkable needs your voice to amplify what he is working on. PPC meets routinely with Remarkable learning from his vast experience about what he and his prairie community need in order to continue to thrive on Colorado's prairies. Liam has been privileged to live in Colorado, off and on, for over thirty years, with long stretches in Montana and Washington State as well. As an Eagle Scout, he learned early the love that comes with living in the West – love of the land, of its Native history, and of its creatures and flora. But, having lived in the West for fifty-five years, he has seen the great change that has damaged the land over one short lifetime – the unchecked sprawl and rapacious development and the outsized role resource extraction industries have played in wounding and destroying the land and its native species. Although new to environmental activism, Liam eagerly anticipates the battles ahead – active resistance to those who place greed, profit, and private gain above The Sacred Land, the Living Waters, and the Native Species of our beautiful Western home. Fred is an environmental and social justice activist. Having lived in Colorado off and on since 1970, he has witnessed the native beauty and biological diversity of the Front Range, as well as its ongoing destruction. He is determined to reverse that trend. 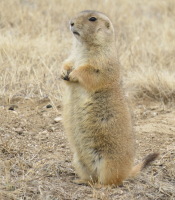 Although relatively new to activism, Fred participated in the initial Castle Rock Prairie Dog campaign, and has joined similar efforts in Oak Flat, AZ and the Great Basin, NV among others. An Organizational Psychologist by training, Fred offers his experience to building effective leadership and organizational capacity to groups that resist the killing of the planet. Lierre Keith is a writer, small farmer, and radical feminist activist. She is the author of six books, including The Vegetarian Myth: Food, Justice, and Sustainability, which has been called “the most important ecological book of this generation.” She is coauthor, with Derrick Jensen and Aric McBay, of Deep Green Resistance: Strategy to Save the Planet She’s also been arrested six times. You can read more about Lierre at www.lierrekeith.com. Deanna is a long time environmental activist. Born and raised in Colorado, she gained a deep appreciation for the land and living communities and recognized that everyone she loved was under attack. In 2015, she began her fight for prairie dog colonies up and down the Front Range as she launched a campaign to protect a large prairie dog colony from extermination in Castle Rock. She has been campaigning and advocating for numerous colonies and prairie communities ever since and intends to do whatever it takes to save this keystone species and the communties they support.